Play Daily Fantasy Football And Get Your Fanteam Bonus! When you register on FanTeam via 11Heroes you get a 200% deposit bonus up to a max. of €250. So that is a maximum bonus of €500, which you have available for 90 days to enjoy free play. Sign up now[/vc_column_text][/vc_column][/vc_row][vc_row padding_top=”40px” border=”bottom”][vc_column][vc_accordion active_tab=”false”][vc_accordion_tab title=”Fanteam Bonus” icon=”minus-circle” icon_closed=”plus-circled”][vc_column_text]When you register on FanTeam via 11Heroes you get a 200% deposit bonus up to a max. of €250. So that is a maximum bonus of €500, which you have available for 90 days to enjoy free play. [/vc_column_text][/vc_accordion_tab][vc_accordion_tab title=”Freerolls” icon=”minus-circle” icon_closed=”plus-circled”][vc_column_text]Each week, Fanteam offers different Freerolls for fantasy managers of all skill levels. This is particularly helpful for beginners, who have the option to play real money tournaments without any risk. So you can cut your teeth at fantasy football at Fanteam’s expense. [/vc_column_text][/vc_accordion_tab][vc_accordion_tab title=”Payment methods” icon=”minus-circle” icon_closed=”plus-circled”][vc_column_text]Depositing at Fanteam is no problem. Fanteam accepts all established payment methods. All payment transactions are secured via 128-bit encryption. [/vc_column_text][/vc_accordion_tab][vc_accordion_tab title=”Advantages” icon=”minus-circle” icon_closed=”plus-circled”][vc_column_text]Fanteam has innumerable advantages for fantasy managers. In addition to rising prize money and new tournaments weekly, you can now create tournaments yourself. There are virtually no limits to your imagination. Choose your own guaranteed prize money, rules and tournament form. Do whatever you want and create the perfect tournament – whatever that is for you. Another advantage is that you can sign up for a variety of tournaments at the same time. This allows you to test different strategies over a single game day and thereby increase your chance to make it into the money. As all tried and tested Fantasy Managers know, the line-up can change almost up to the moment the ref blows the starting whistle. To give you maximum flexibility here, you can adjust your team right up to a minute before the start of the game. With the help of our injured players list here, this will help you to put your best foot forward and play a successful tournament. In conclusion, it’s important to note that you can reach a consultant in the Fanteam support team almost 24 hours a day You can do this either by email or through the live chat function on the website. [/vc_column_text][/vc_accordion_tab][vc_accordion_tab title=”Point System” icon=”minus-circle” icon_closed=”plus-circled”][vc_column_text]How points are awarded on Fanteam: football rules[/vc_column_text][/vc_accordion_tab][vc_accordion_tab title=”Conclusion” icon=”minus-circle” icon_closed=”plus-circled”][vc_column_text]With Fanteam, another strong supplier is joining the ranks of our partner network. The Maltese company has impressed us a lot over the last few months, offering a well thought-out game concept, above-average prizes and an active community. The main focus of Fanteam is on the European football leagues. 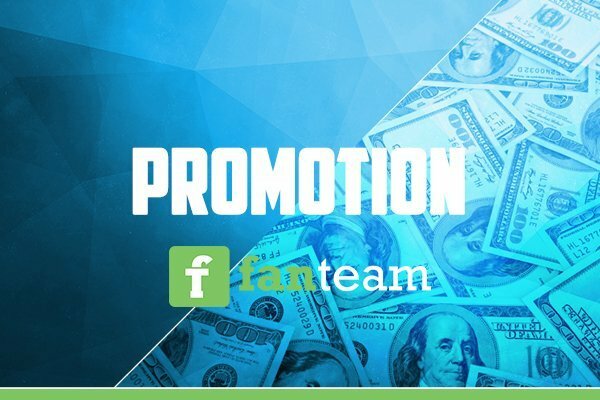 Both the number of live tournaments and the prize money are being continuously increased for these formats – this was also an important factor in the decision to enter into a partnership with Fanteam. Although U.S.-based leagues such as MLB, NBA and Co are yet to be offered, you can look forward to live tournaments for the Bundesliga, LaLiga, the EPL and many more. [/vc_column_text][vc_column_text]There were a number of reasons why Fanteam made it into our partner network. With a coherent concept, rising prize money and a excellent support team, playing on Fanteam is a whole lot of fun.